SAWTELL has claimed its second consecutive Twenty20 title after a 45-run win in tonight's final against the Coffs Colts. 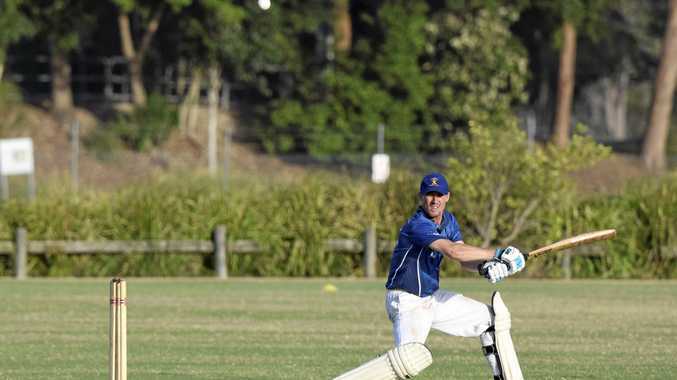 The victory was built by a strong batting performance anchored by a hard running 71 from Mathew Riddoch at the top of the order before some late, lusty hitting saw Andrew Ellis make an unbeaten 48 to see Sawtell reach 7-179 after its 20 overs. Such a total looked unlikely when the Colts bowlers reduced Sawtell to 3-24 early but Riddoch paired up with Michael Oates and David Angus-Crouch to lay a strong foundation. Needing nine runs an over to win the Colts made a good start to their run chase with James Britnell making 34 a tthe top of the order. At 2-60 the Colts were looking a chance but Britnell's dismissal instigated a collapse that saw them lose 4-5 and fall behind the eight ball. Ben Martin and Troy Britnell did their best to right the ship late but the damage was already done. The Sawtell players can put their feet up this weekend while they enjoy the bye. Saturday afternon sees a return to the longer format of the game with the Colts, enjoying some renewed confidence, hosting Nana Glen. Diggers, unbeaten since Christmas, can continue their good run of form when they travel to the plateau to meet Dorrigo. 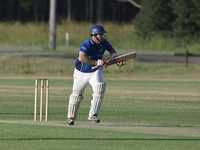 Sawtell 7-179 (M Riddoch 71, A Ellis 48 n.o) def Coffs Colts 134 (J Britnell 34, I Hillery 3-19). Coffs Colts v Nana Glen at Coffs Coast Sport and Leisure Park. Dorrigo v Diggers at Rowe Oval, Dorrigo.